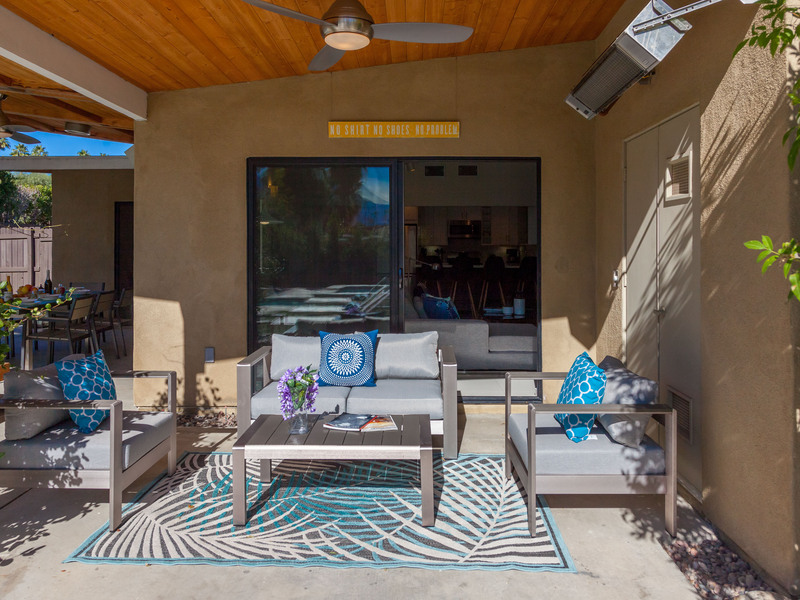 Property Highlights: Named in Top 5 for Homeaway's Best of Outdoor Spaces Contest. Walk to town. Mountain views. Two car driveway, and an additional 1 car garage at this home. 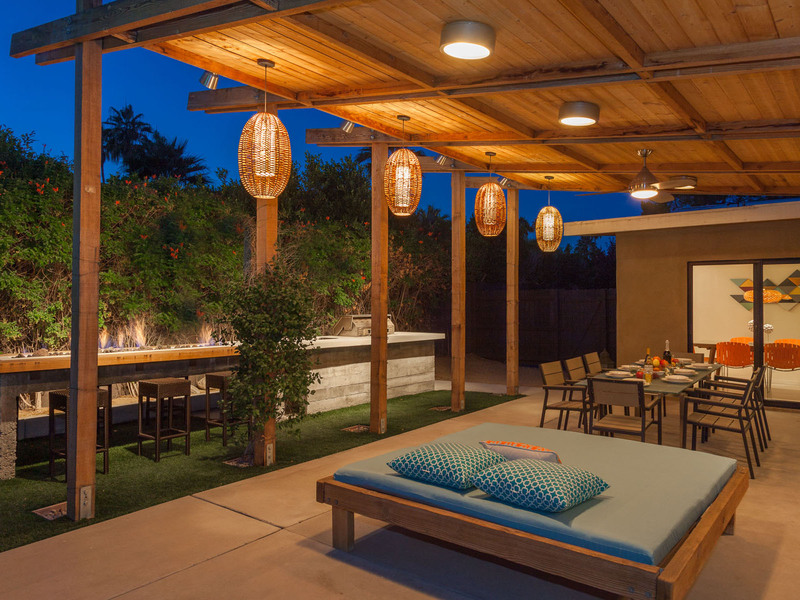 PLACED IN THE TOP FIVE OF HOMEAWAY'S BEST OF OUTDOOR SPACES CONTEST!! 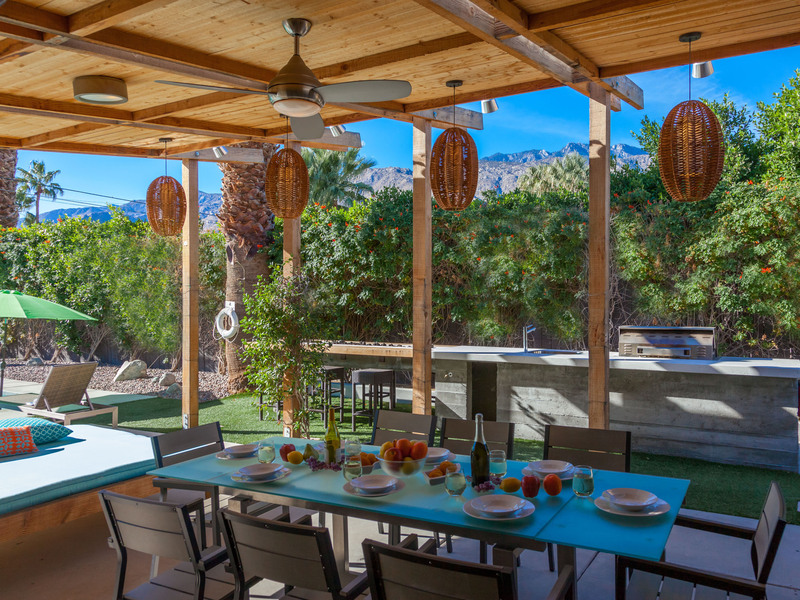 Atomic Ranch Heaven is Palm Springs Outdoor living at its best and has everything you could possibly want in a vacation rental property! Located a short .8 miles from downtown, you'll find an outstanding outdoor amenities, outdoor kitchen, professional barbecue grill, ice maker, ample seating, fire bar, double lounge chaise, fire pit, putting green, hammock, amazing pool, tanning shelf, spill-over waterfall, spa, pool floats, outdoor space heaters, ambiance lighting, spectacular mountain views and so much more! 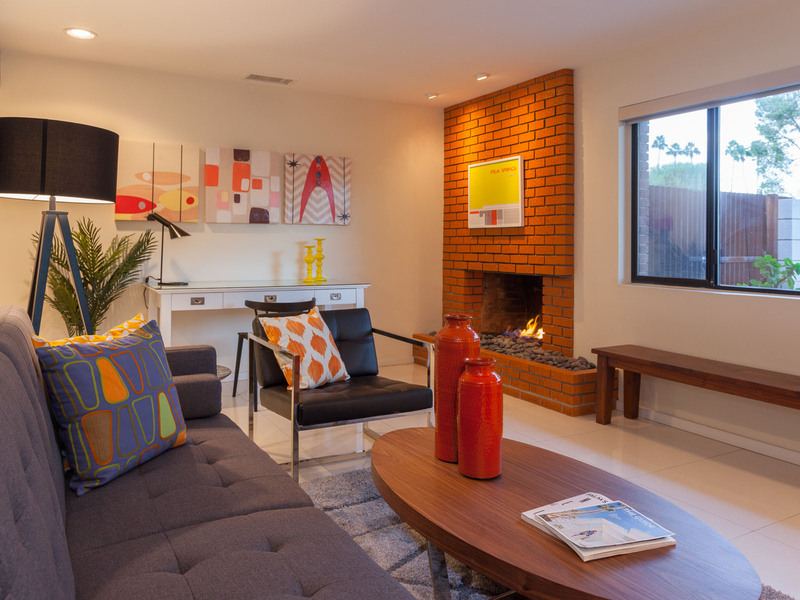 You will not want to leave this house but if you do, downtown Palm Springs is only 0.8 miles away!! -	Spacious open and airy home with a kitchen that flows to the dining and living areas with sliding doors that leads to the amazing backyard. 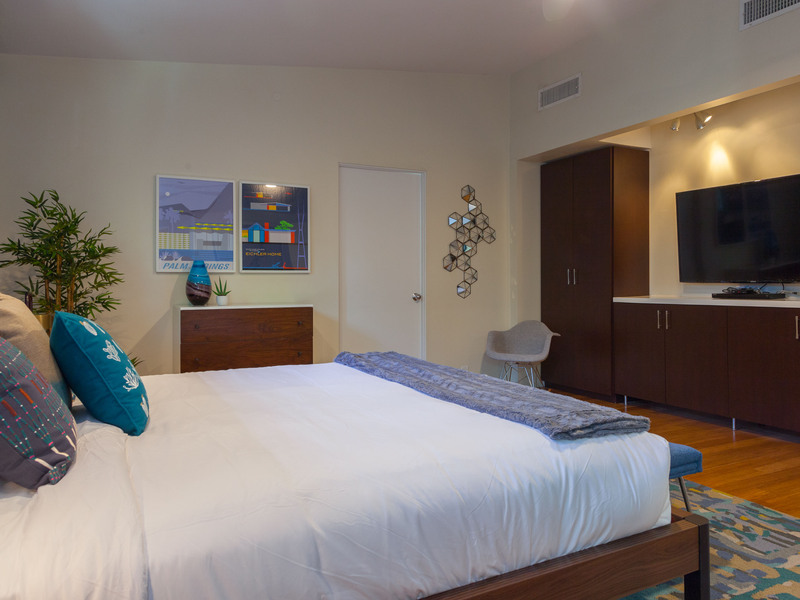 -	Modern, clean and comfortable furnishings and décor. 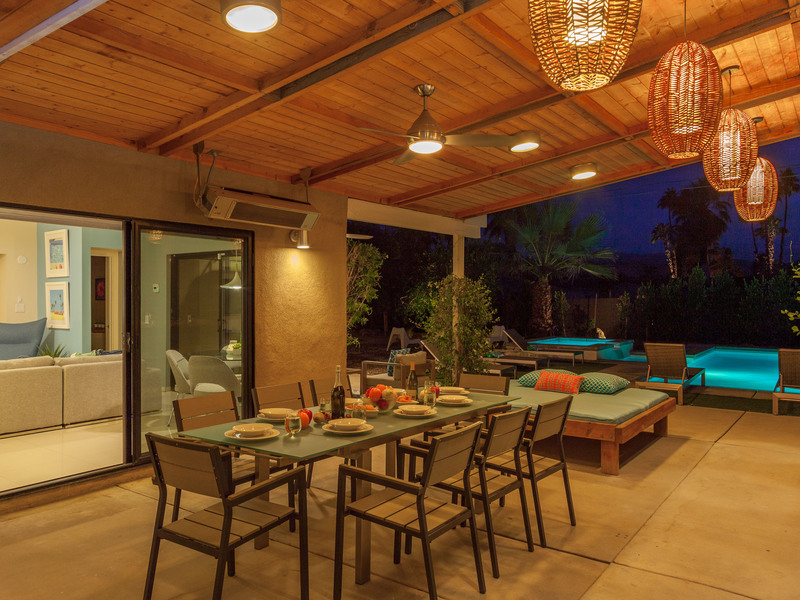 Voted one of the top five Best of Outdoor Spaces in HomeAway's First Annual Outdoor Living Spaces Contest. 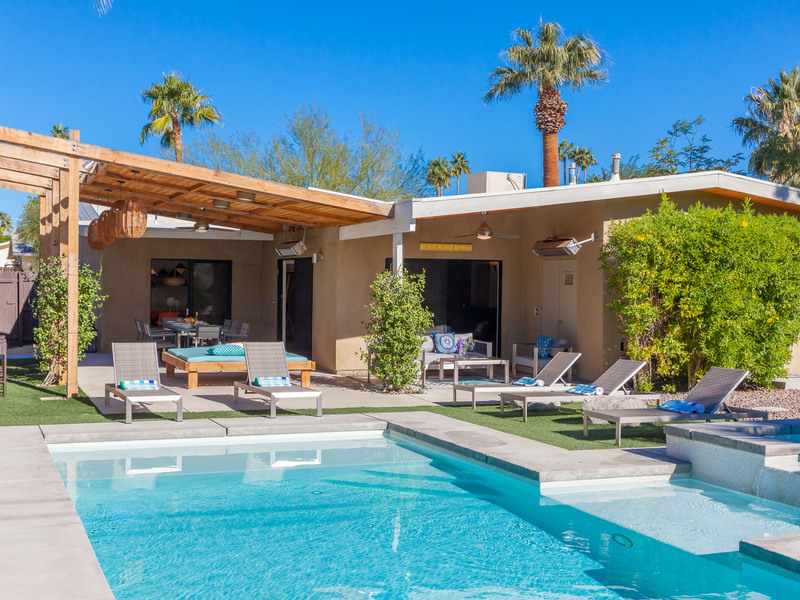 Atomic Ranch Heaven will not disappoint those looking to experience the ultimate Palm Springs Vacation Rental Experience. -	Resort style backyard with tropical landscaping and grassy areas. 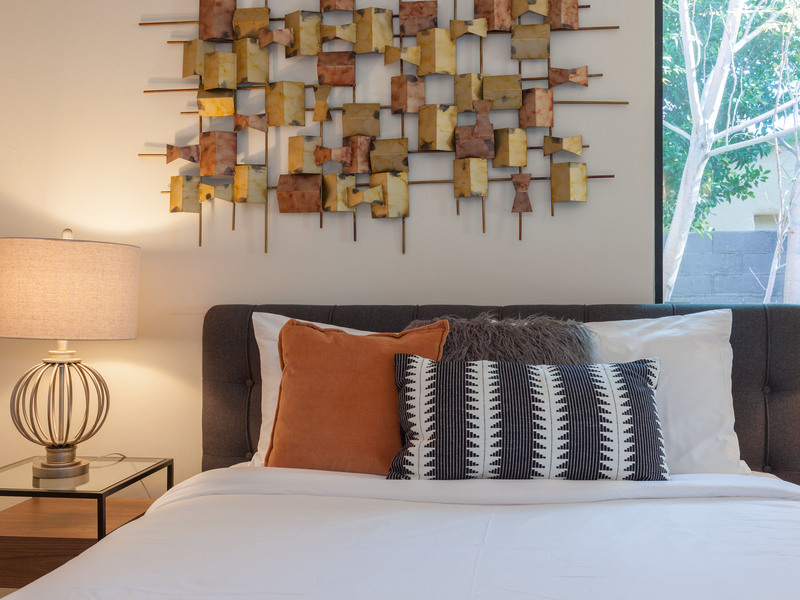 -	The master retreat features a plush king size bed with premium linens, 50" television and DVD player, spa style ensuite bathroom and double vanities & a makeup area. 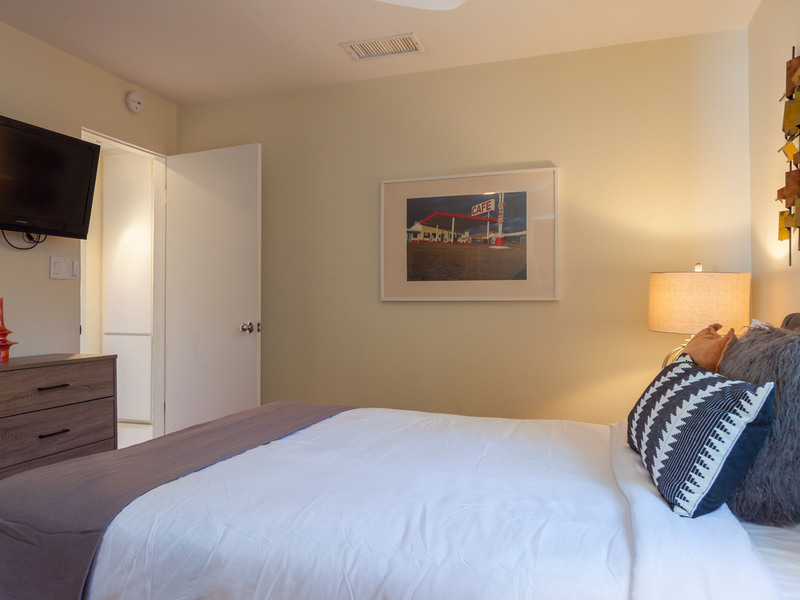 -	Guest bedroom three features a premium queen size bed, hotel quality linens, 32" television and DVD player. -	With so many amenities, you will have a tough time deciding whether to leave this amazing home or venture to town. 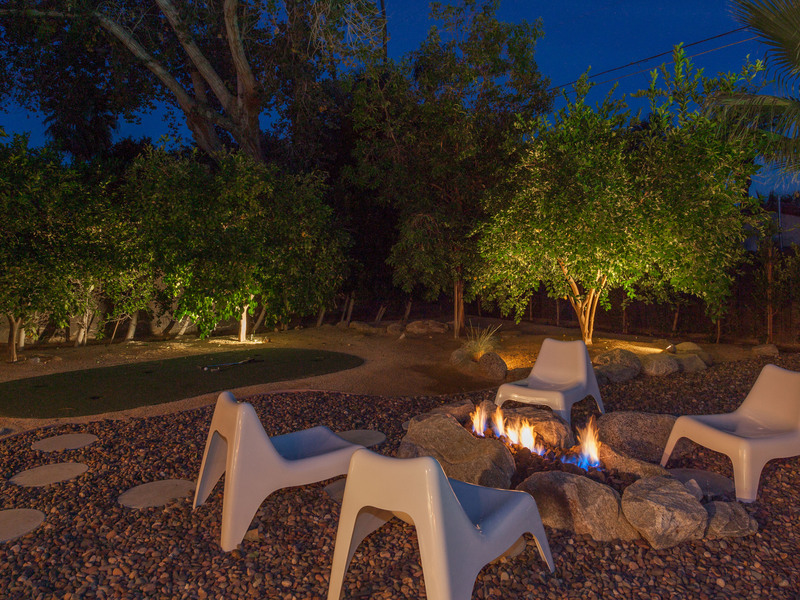 -	Two fire features outside make relaxing outside a special occasion, all while stargazing the beautiful Palm Springs night sky. -	World Famous Downtown Palm Springs is a quick 0.8 miles to amazing shopping, art district, restaurants, galleries and fun! 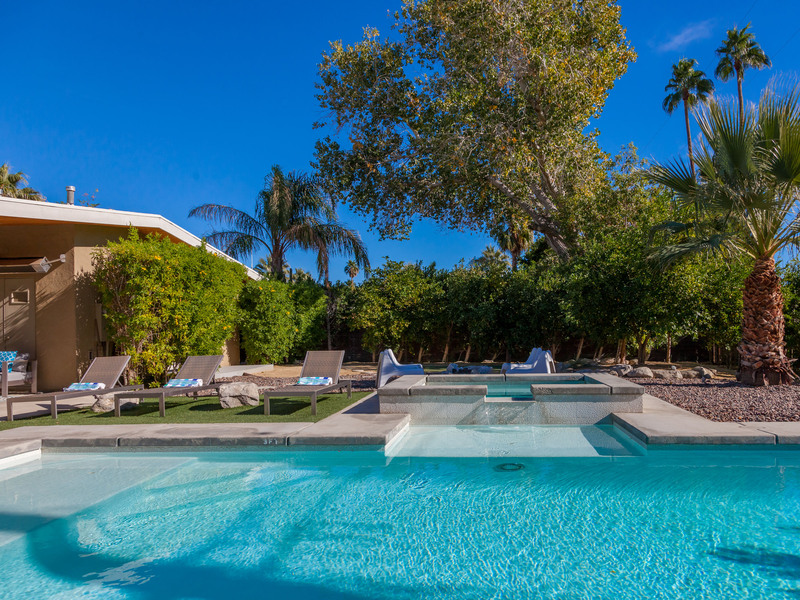 Anyone who wants to experience a truly memorable Palm Springs vacation! "what a great place to share some time with friends. 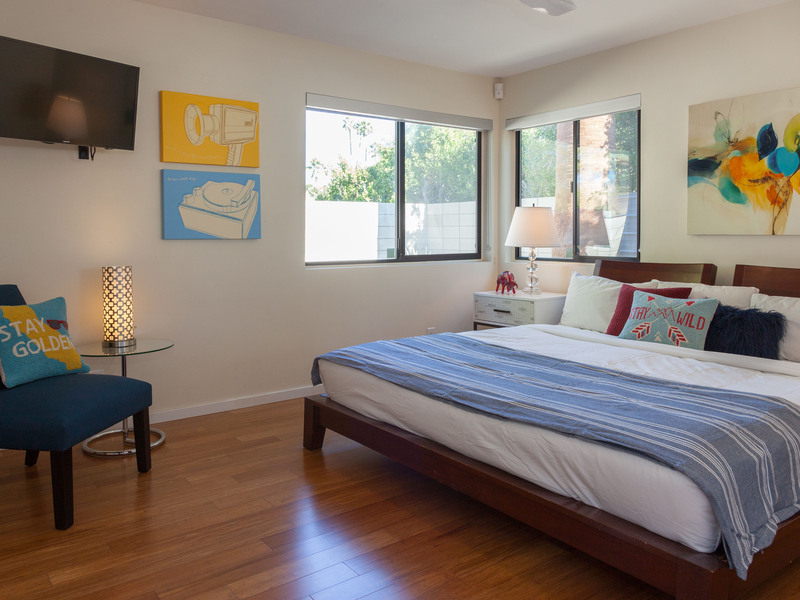 Bedrooms are spacious and the outdoor area is all you could want. very close to downtown. very easy working with the rental team"
"Perfect home for just lounging in the pool, with everything we needed - and when the coffee maker broke, a (new) replacement was sent over within the hour. The team at Acme went above and beyond to help us out on the last morning with a special request as well as extended check-out - excellent customer service as always. The home is in a great location near the park and easily bike-able to town (when it's not too hot to do so). 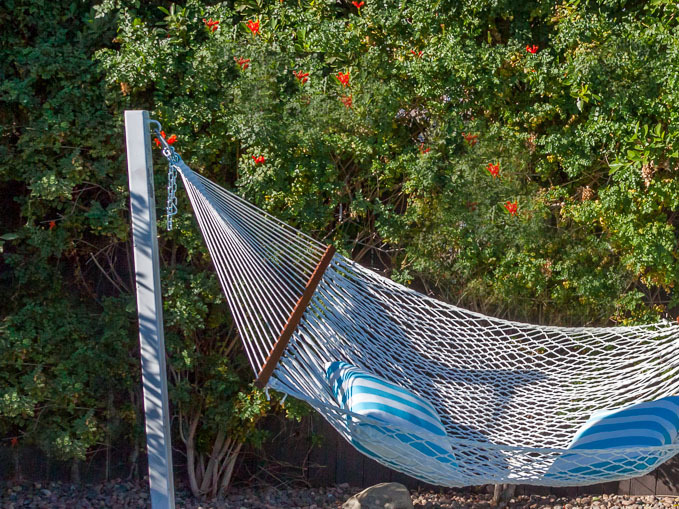 A relatively quiet neighborhood and totally private, gorgeous backyard with citrus trees. Thanks for another great stay!" "We had a great time. The house is lovely. The pool is amazing. It was a bit cooler when we stayed and the hot tub spa was perfect instead of the pool, but even that was heated. Great location too. Fantastic coffee shop just a few minutes walk away." Our Return Trip! Even better than before! 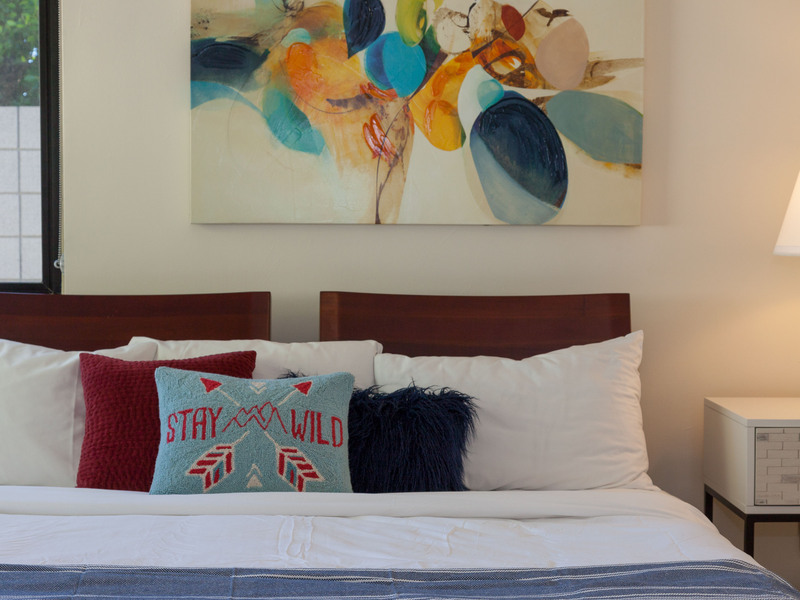 "We loved this property last time we stayed about 2 years ago. We were blown away by the refresh! Even better than before. Wish we could give it 6 stars! Thanks Acme House Company for knocking it out of the park again by making this great property even better!" "We stayed at this property twice before and loved it. What a pleasant surprise to return this year to find that the house and pool yard have had a bit of a makeover. The vibe is the same but a lot of the furniture has been replaced. We really appreciate that Acme and their property owners always keep the homes they manage fresh, clean and in good shape. 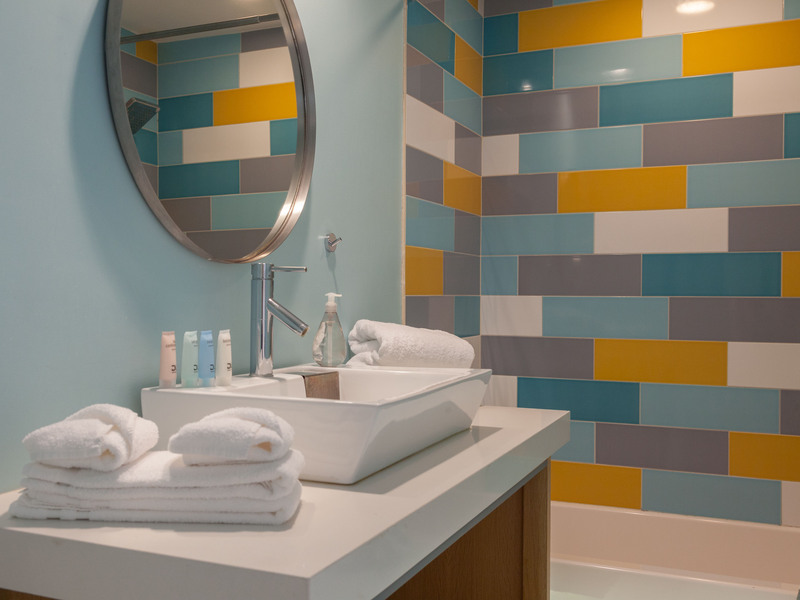 One more reason we love Atomic Ranch Heaven and Acme House Company. Thank you." "Excellent comfort, and cleanliness. Very good style. Everything was good. Thank you!" "Amazing Concierge service! Excellent style, comfort, and cleanliness! An excellent overall stay!" 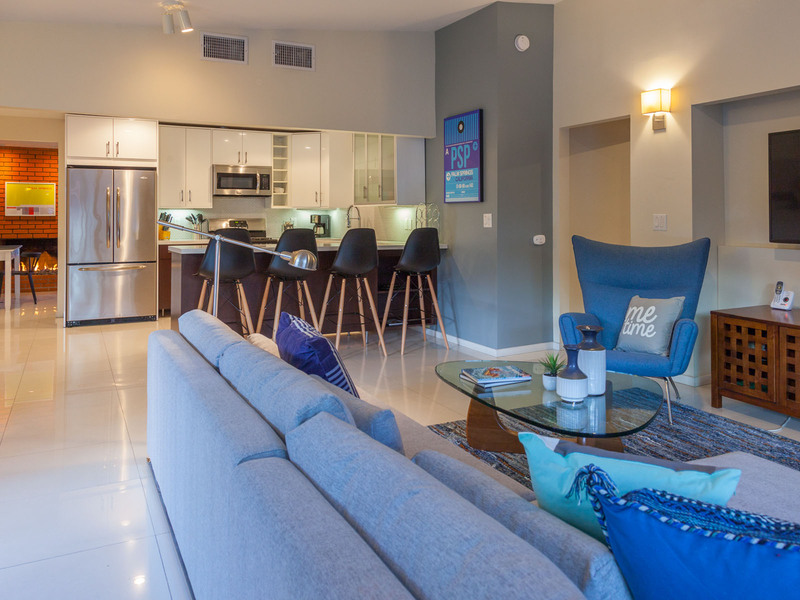 "This place was amazing, exactly what it said it would be, communication was clear, available amenities, and services were ample. We would recommend this place to anybody!" "Awesome house right near downtown. Couldn't have been a better quick vacation. Was really a great time with our family. We will def be back again!" 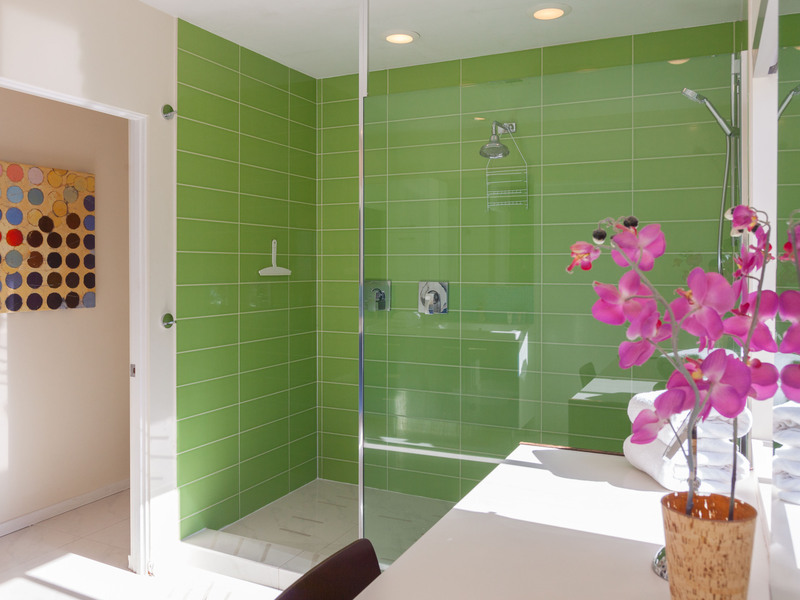 "Very good style, comfort, and cleanliness. We had a very good stay, and would highly recommend!" 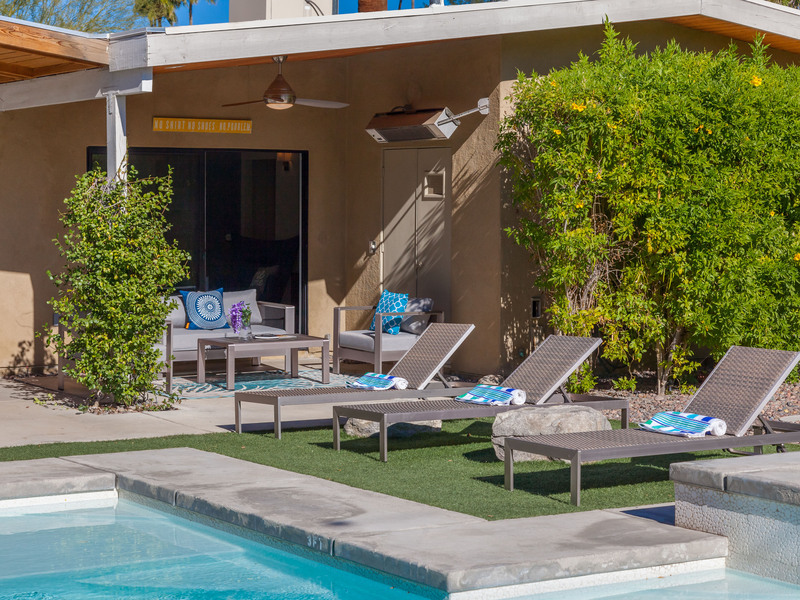 "Perfect place to relax, and still enjoy all that Downtown Palm Springs has to offer. The backyard space was above and beyond. The best part of the rental was, Everything!" "5 of my good friends and I stayed at the Atomic Ranch House over a weekend in July. It felt strange booking everything online, and was a bit scared since it was my first time. All of my questions were answered via email, quick responses each time. When we arrived we followed all of the instructions, which were super easy. We walked into the house and started to explore the property. The pool was amazing, we loved the fire fixtures outside, and the bbq got tons of use. Some of us went into town to hang out, but others stayed back and relaxed. The pool was our favorite part. The tall trees helped with the beaming sun throughout the day. The house had pretty much everything we needed. I loved the app, a couple of questions came up during our stay. I sent our questions through the app and someone would respond right away. They also sent a text during our stay to check in on us. Overall it was a great experience, and will be booking another house soon." "Very organized, reasonably priced rental agency! Really liked the price and the ease of renting a house with this company! 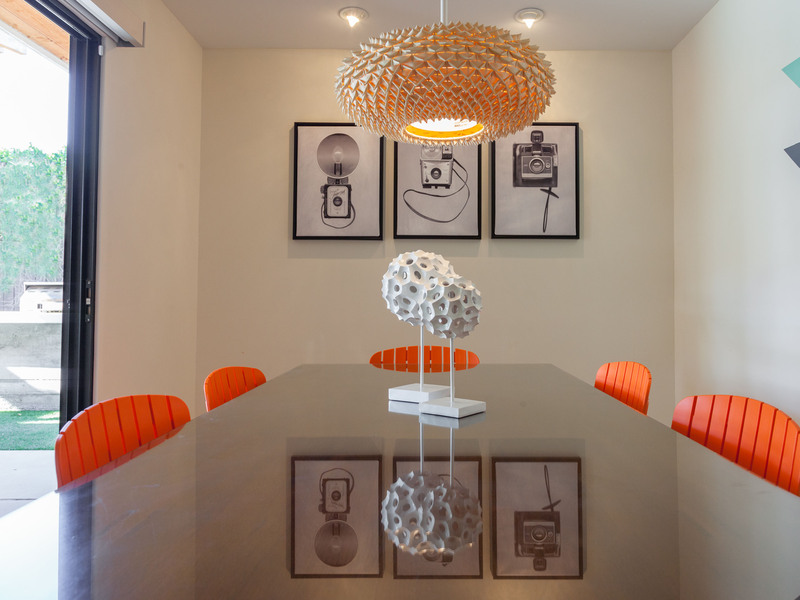 Everything looked just like the pictures, and we loved the style of the home! " 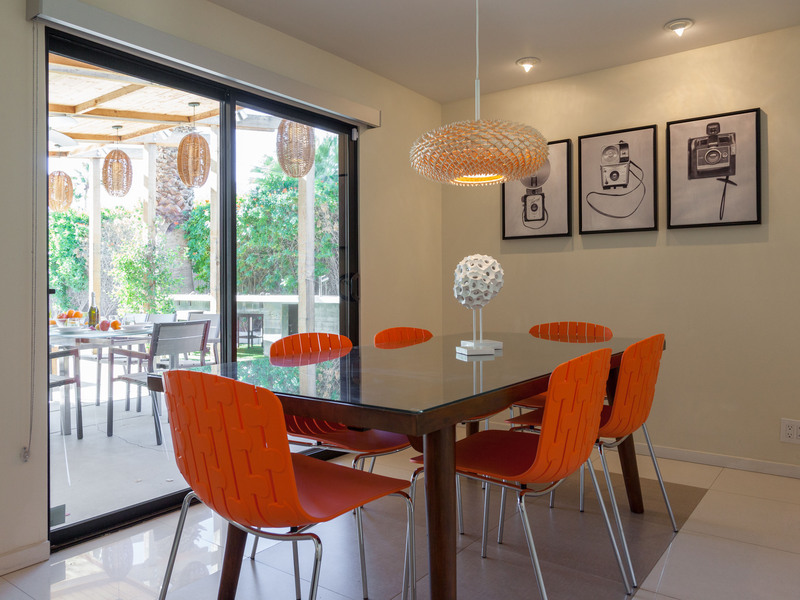 "A beautiful home that was fully reflected in the photos provided. We chose the property because the price was right, and for the great backyard! It was such a fun experience!" "Excellent Style! Excellent Cleanliness! Very Good Comfort! " "Dealing with ACME House Co. was quick and easy! The house looked nice so we chose it, and we had an excellent stay! " "The house looked just like the pictures, no surprises. When we had an issue with the grill ACME House Co. sent their maintenance team out right away to fix it. The property was super clean and stocked with the basic amenities. Close to everything, including the park, which was great for our dog. We relaxed and played in the amazing pool more than ever before, at any rental, and I got to cook a lot of our meals, in the easy to navigate kitchen. We really felt we didn't have a need to ever leave the house. We plan to come back again for sure and hopefully sooner than our next anniversary. " Manager Response: Thank you for letting us know that you had a minor issue with the beds creaking and squeaking when rolling over. We will have our maintenance team go out to the property and take a look. Location, style of house, backyard, all excellent! "We appreciated the ability to do an hour early check in. Loved the house, but felt it needed to be vacuumed better. Overall, an excellent stay!" 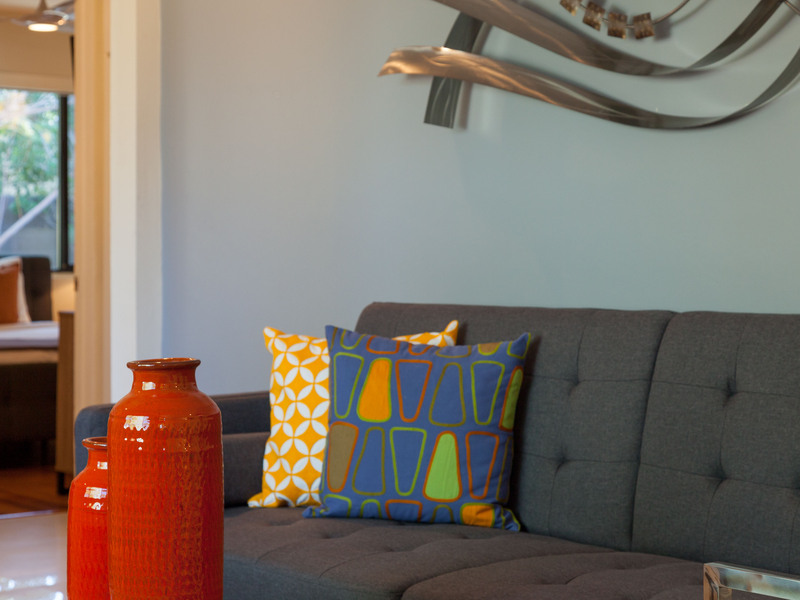 "ACME House Co. was great to communicate with! Loved the app and email communication. The house needed a few fixes, and ACME's Property Care team got back to us, and repaired ASAP. We chose the property because of the backyard and pool. The space was perfect, and the pool and outside were amazing!" "Acme House Co. was easy to deal with, quick responses, professional. They were excellent in meeting our overall expectations. We chose this property for the location, size of house, privacy, backyard. " 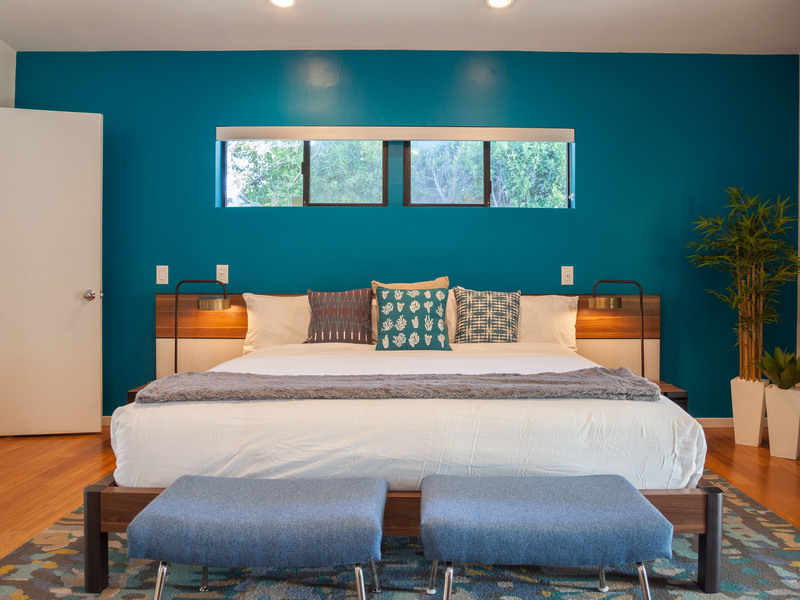 "Our experience of using ACME House Co is a very positive one. The booking process and management of the booking was very modern compared with other organisations. It was simple to book, didn’t have hidden fee’s for things like pool heat, and could be managed through their app (better than international tour operators). Also, the ability to sign a rental contract online is a dream. The information provided prior to arrival was accurate, & access to the property was very straight forward. 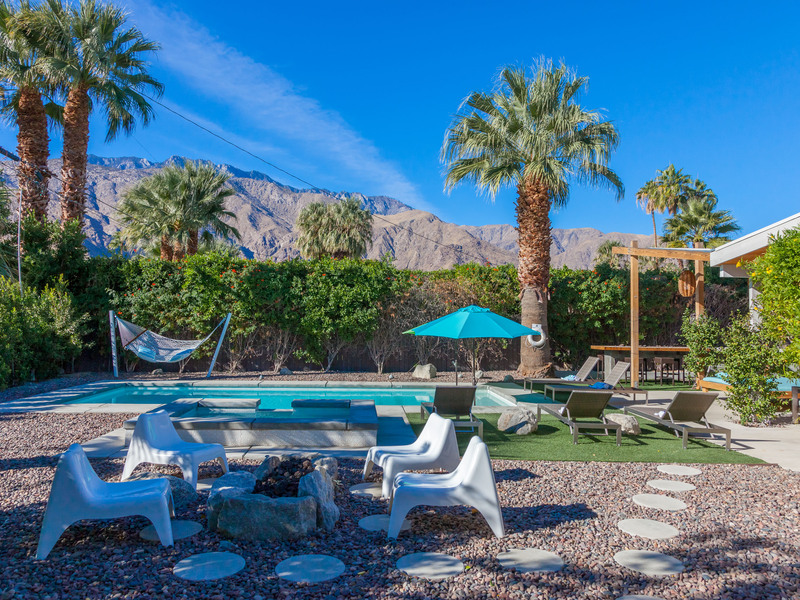 Atomic Ranch Heaven is an amazing place to stay in Palm Springs. 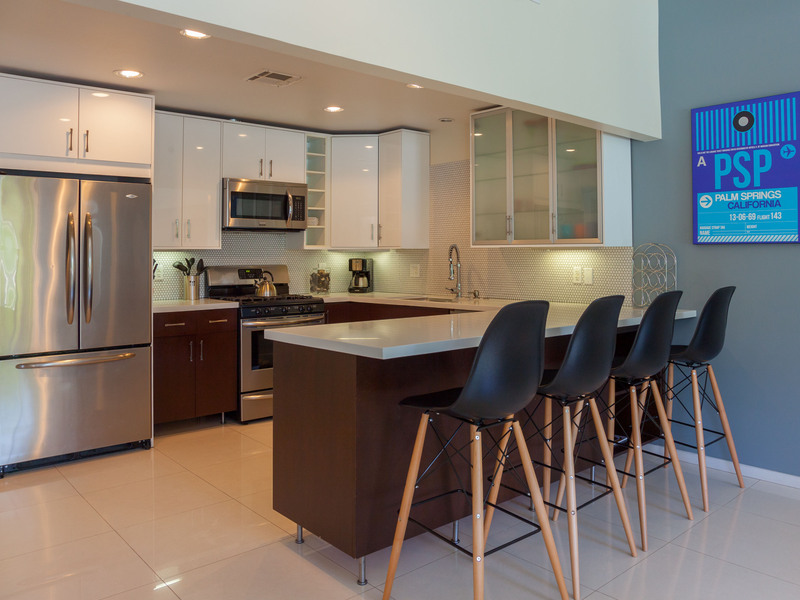 It is a modern pool home with a thoughtful design both inside and out. 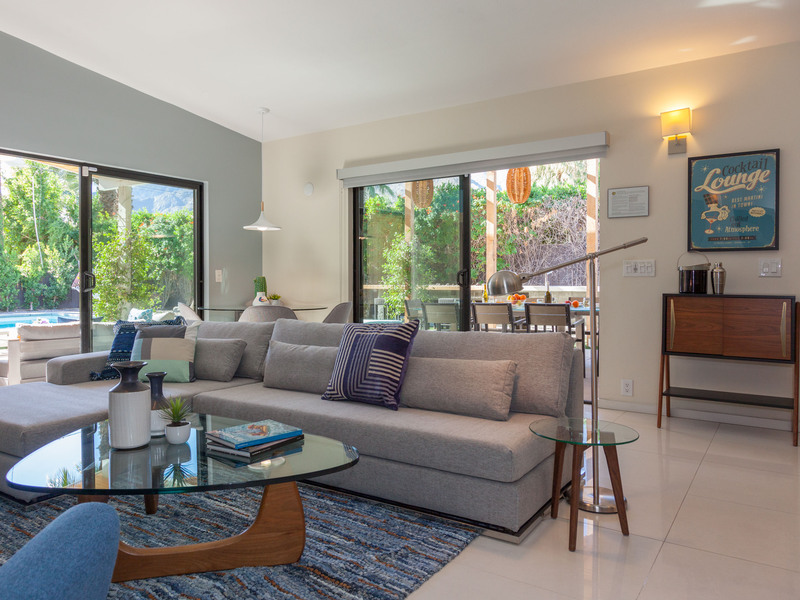 The lighting, modern fire pits, citrus trees, excellent TV/Internet, beautiful bathrooms and a great pool/Jacuzzi area, made this very special for us. You are a short walk from the town center or small drive to the San Jacinto mountain park entrance (which you must visit if you love nature). The user guide to the home was very informative, providing useful tips on how to manage the pool heat through to recommending local stores. It contains all the information you need for a comfortable stay. The home came with all the essentials you need, so you don’t have to worry about picking up cleaning products and so forth. Everything in the home was in excellent condition, clean, and perfect working order. Initially we did have an issue with the pool heat, but ACME came out to resolve it very quickly, which was much appreciated. The support people on the phone, and those who attended the property were all very helpful and friendly. Also, I accidentally left something behind at the home, and ACME were incredibly helpful in getting the item shipped back to my home in the UK. Communication throughout have been fantastic. Overall, superb holiday homes managed by a caring company. It’s the little touches that make the difference, which is why we enjoyed, and have just booked for next year." "The reservation team and our arrival were very good. Good comfort, very good on cleanliness and style. Met all of our expectations!" 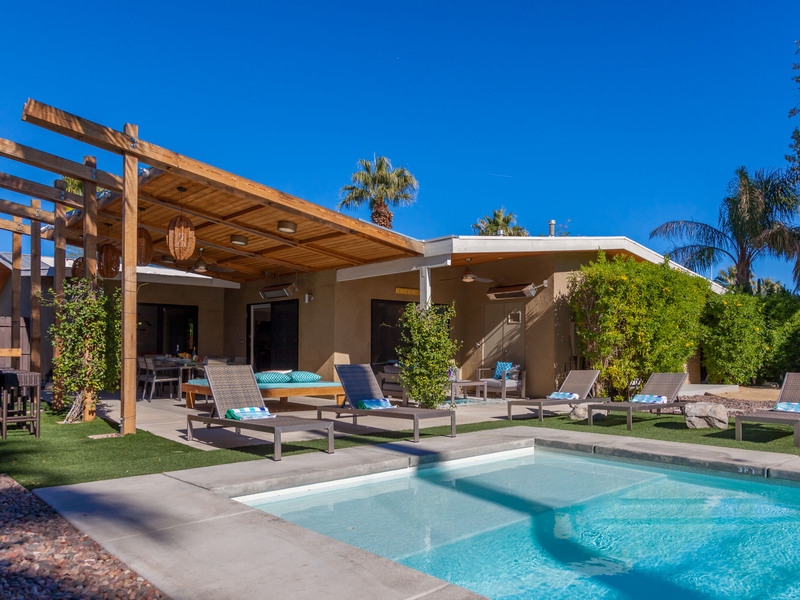 "We have always stayed at hotels when we visit Palm Springs but decided this time we wanted something with more privacy and peaceful so I came across this place online and glad I did. Will never stay in a hotel when we visit PS again. Atomic Ranch was beautiful. We didn't want to leave. The home had everything we needed and was very comfortable and relaxing. The home was in a great location. We would definitely return. The backyard was beautiful. 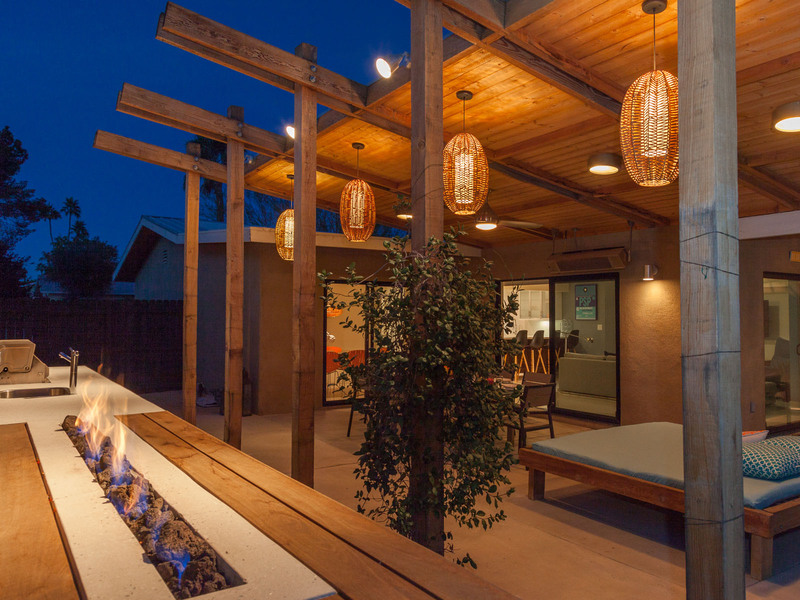 The fire pits were a very nice touch. " Atomic Ranch Heaven - You will not want to leave! 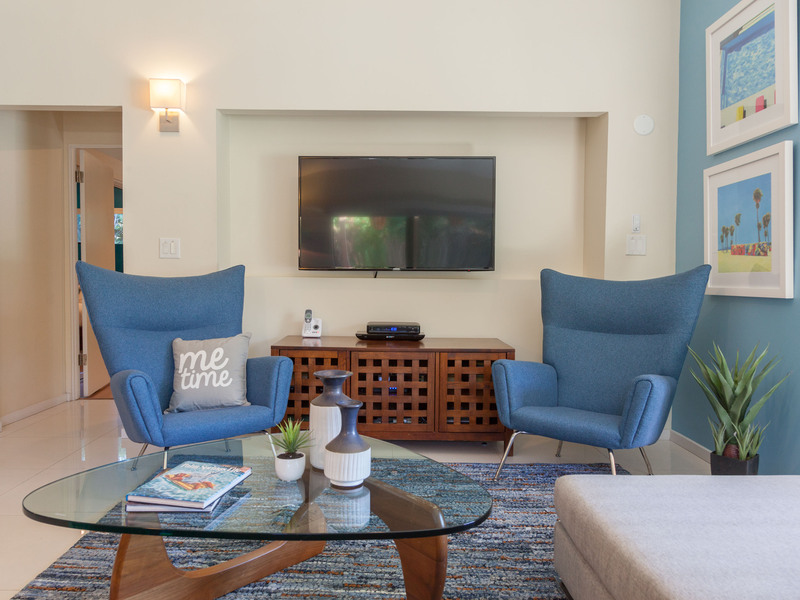 "Our experience of using ACME House Co is a very positive one. The booking process and management of the booking was very modern compared with other organisations. It was simple to book, didn’t have hidden fee’s for things like pool heat, and could be managed through their app (better than international tour operators). Also, the ability to sign a rental contract online is a dream. The information provided prior to arrival was accurate, & access to the property was very straight forward. Atomic Ranch Heaven is an amazing place to stay in Palm Springs. It is a modern pool home with a thoughtful design both inside and out. 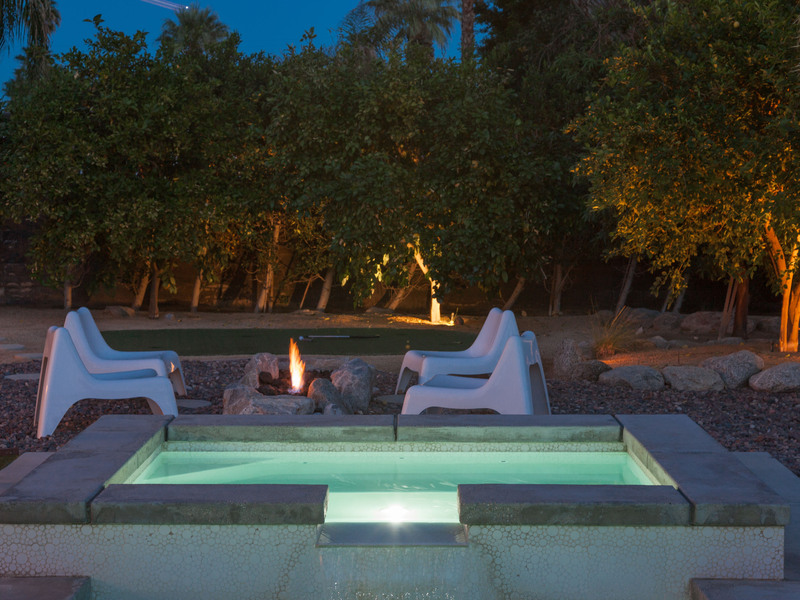 The lighting, modern fire pits, citrus trees, excellent TV/Internet, beautiful bathrooms and a great pool/Jacuzzi area, made this very special for us. You are a short walk from the town centre or small drive to the San Jacinto mountain park entrance (which you must visit if you love nature). The user guide to the home was very informative, providing useful tips on how to manage the pool heat through to recommending local stores. It contains all the information you need for a comfortable stay. The home came with all the essentials you need, so you don’t have to worry about picking up cleaning products and so forth. Everything in the home was in excellent condition, clean, and perfect working order. Initially we did have an issue with the pool heat, but ACME came out to resolve it very quickly, which was much appreciated. The support people on the phone, and those who attended the property were all very helpful and friendly. Also, I accidentally left something behind at the home, and ACME were incredibly helpful in getting the item shipped back to my home in the UK. Communication throughout have been fantastic. Overall, superb holiday homes managed by a caring company. It’s the little touches that make the difference, which is why we enjoyed, and have just booked for next year. "